China’s aviation sector is of key importance to the national economy, reflecting its increasing level of modernisation and robust growth. China’s vast territory and its geographical location assign the aviation sector a role that other transport methods cannot replace in promoting international political, economic and cultural communication, and tourism. China is the world’s second-largest aviation market after the US, transporting 551.6mn air passengers in 2017, according to the CAAC. IATA projects that China will become the world's largest aviation market by 2022. 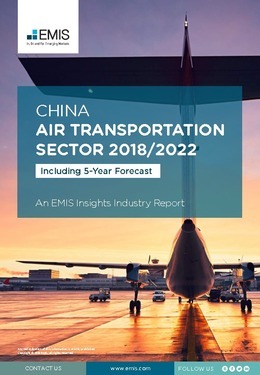 This report provides a complete and detailed analysis of the air transportation sector for China. EMIS Insights presents in-depth business intelligence in a standard format across countries and regions, providing a balanced mix between analysis and data. Build a clear picture of trends and issues for sub-sectors (freight and passenger), as well as air transport infrastructure.